Mason Craft & More brings you the classic Americana style with a new generation of products for your home that enhance the quality of everyday life. We’re sticking to the iconic style while introducing a new line of prep, serve, store, and dinnerware collections that have the same multi-use advantages the timeless brand is known for. From products such as butter dishes, soap dispensers, Tub of Tools, Oil & Vinegar Sets, Mix & Measure Sets, to unique-shaped jars for all your storage and DIY needs, Mason Craft & More has created even more uses out of the already-versatile name. 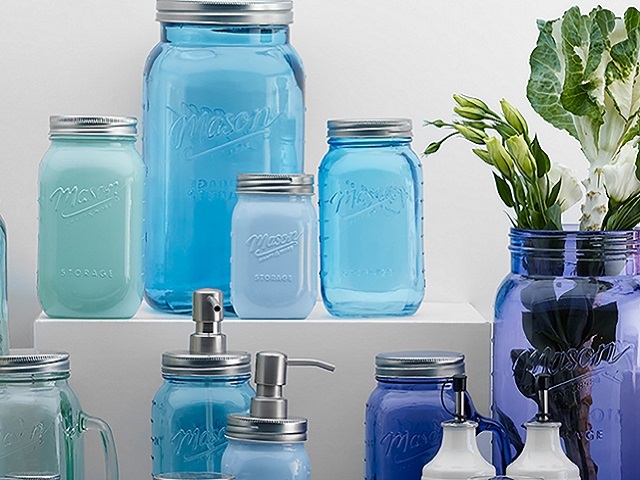 Mason Craft & More™ goes beyond the expected by Thinking Outside the Jar and by releasing new collections with vibrant colors and creative shapes that make it simple to add the vintage touch to your home. Ideal for everything from prepping to storing to decorating, Mason Craft & More™ brings iconic charm to your home that brightens your lifestyle.